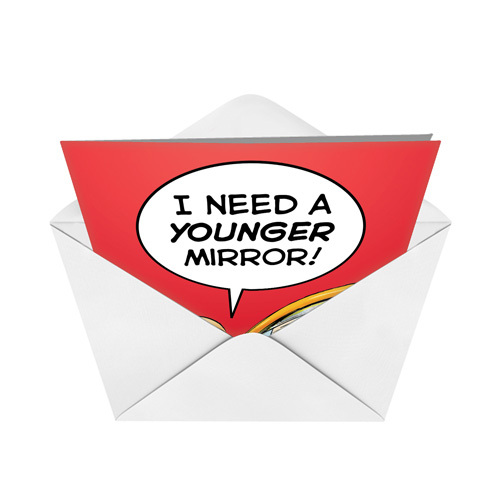 Cover Reads: I Need A Younger Mirror! 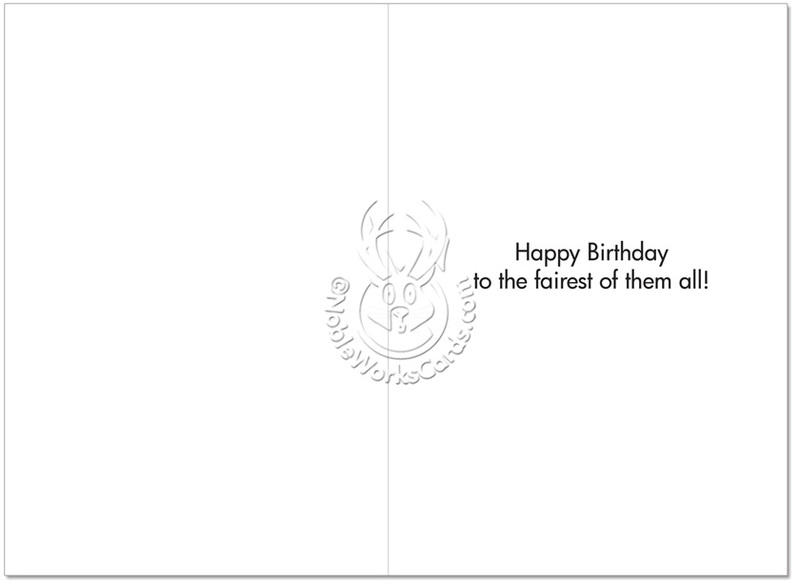 Inside Reads: Happy Birthday To The Fairest Of Them All! 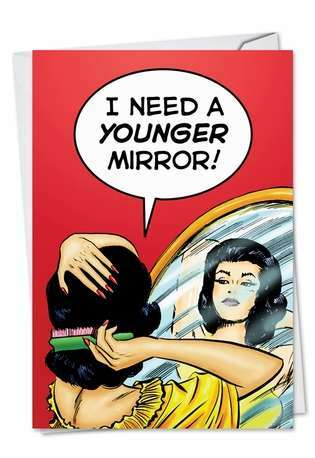 Mirror, mirror on the wall...show me not how old I am, but how young I think I am. This funny birthday card featuring a retro romance comic book style illustration provides a humorous view of aging in the looking glass. 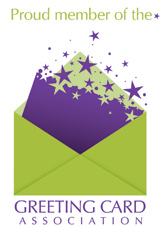 Make someone's birthday special by sending them this compliment with your birthday greeting.